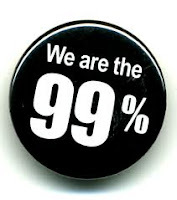 Join Occupy Wall Street for a Tenants General Assembly outside the Rent Guidelines Board. The RGB willl be holding its preliminary vote inside as tenants tell their stories outside. Tom Waters and Victor Bach, Housing Policy Analysts of the Community Service Society testified before the 2012 Rent Guidelines Board. Rents have soared 31% over the past 6 years.Rent increases have vastly outpaced net incomes for the typical renter.By 2011, 51% of low-income renters were paying at least half their incomes in rent.Read the full testimony! At last evening's Tenants PAC's gathering, a host of friends (including some folks who became friends at the event) greeted Assembly Member George Latimer - now running for State Senate in a hard Westchester district against a GOP NYC landlord. Anderson Fils-Aime of Tenants PAC, and Senators Gustavo Rivera and Liz Krueger and candidate Latimer made: New York City represents about 40% of the state legislators. The other 60% (including Latimer) make the difference for passing pro-tenant legislation. We need solidly progressive candidates - unlike Pedro Espada (replaced by Gustavo Rivera) and a few others - to constitute the Democratic majority in the State Senate. Without them, it's hard to pass good legislation. 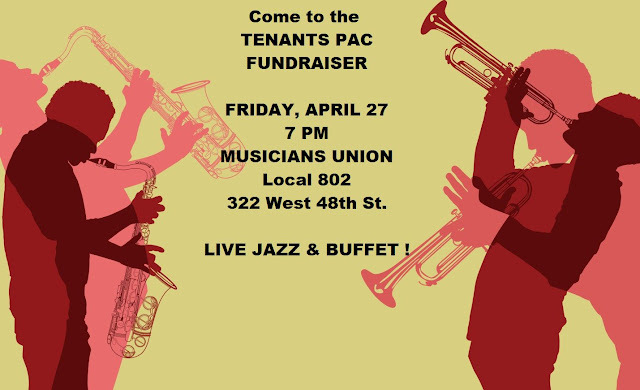 This Friday, come to the Tenants PAC fundraiser. at Cooper Union's Great Hall 7 East 7th Street (at 3rd Ave.) Manhattan Tenants from around New York City are coming together for a Tenants’ General Assembly. Share your stories. Testify about rent increases. Show the Rent Guidelines Board what democracy looks like. And tenants are also encouraged to testify inside! Click here for one version of the flyer in English and in Spanish A second version is available for download here. US Supreme Court Refuses to Hear Harmon Case! We welcome today's decision by the U.S. Supreme Court not to review the Harmon v Kimmel case. From the beginning, this misguided case was based in a flawed legal interpretation of the Constitution, yet still represented a very real threat to New York's ability to continue to maintain viable working and middle class housing in a city often defined by wealth. Millions of New Yorkers depend on rent regulation for dependable, affordable housing, and the city depends on rent regulation to maintain stable neighborhoods and strong communities. Rent regulated New Yorkers have a median income of just $37,000, and a court-ordered elimination of rent regulations would have immediately placed their ability to stay in the homes in danger. You can meetAssembly Member George Latimer at Friday's event. He will be running for an open State Senate seat against a Republican New York City landlord. 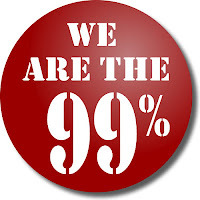 Help Tenants PAC raise the maximum to support A.M. Latimer and other pro-tenant candidates! Click here for the flyer to post in your building. Tenants PAC 277 Broadway, Suite 608 New York NY 10007. Or you can make contributions (including recurring ones) at www.tenantspac.org. Donations are not tax deductible. RSVPs requested but not necessary! Email RSVPs to action@tenantspac.org or call (212) 577-7001. 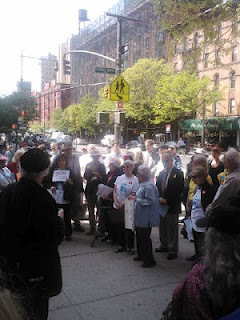 On April 20, 2012, rent controlled tenants, their advocates - led by Tenants & Neighbors and the Real Rent Reform Campaign - and neighbors formed a large semi-circle in front of Goddard-Riverside's senior center to push for passage of A1892-A/S5699. Tenants spoke, sang,* and applauded the bill, its sponsors, and all those working for it. Click here for a video of some of the rally. Rent controlled tenants now get an automatic rent increase of 7.5% - plus fuel cost increases and all those increases of other rent-regulated tenants like permanent Major Capital Improvements (MCIs) and landlord hardship increases (if the owner is making under about 8% profit per year). The original purpose was to raise rent controlled rents to the same level as rent stabilized rents - but now they're rising higher: their rents have gone up almost 6 times in the same period that rent stabilized rents have doubled. New York City needs rent regulation for affordability, diversity, and strong communities! About 47% of apartments in New York City were rent regulated (stabilized or controlled) in 2011. Most of these apartments are outside Manhattan's core. The U.S. Supreme Court put off, until at least April 23, a decision on whether to hear a constitutional challenge to New York City’s longstanding rent regulations. While the prospect of a complete end to rent protections has tenants on edge and landlords salivating at the prospect of 1.1 million deregulated apartments, tenant activists and their supporters in government are plowing ahead with a proposal to reform the City’s Rent Guidelines Board — but not in time to affect the setting of this year’s annual rent hikes. That process begins with a preliminary vote on May 1 at Cooper Union (last year, the board voted 3.75 percent increases on one-year leases and 7.25 percent for two-year leases). to ensure that everyone has access to decent and affordable housing. James Harmon’s grandparents bought the brownstone in question in 1949 for $41,000. At the time of the initial purchase, all of the apartments were subject to the old rent control law. The brownstone is now worth at least $3 million. Since 1949 its value has risen 25 percent faster than the stock market, more than twice the increase in median home prices nationwide, and more than nine times faster than the general cost of living. The brownstone currently contains three rent-stabilized apartments and three unregulated apartments. In addition, Mr. and Mrs. Harmon live in a spacious apartment. In 2005 Mr. Harmon bought out his brother’s interest in the property for $1.5 million. 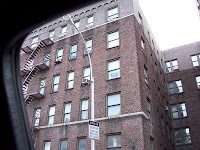 At the time of this purchase, three of the units were rent-stabilized, which Mr. Harmon, as co-owner, certainly knew. On Monday, April 16, 2012, the Real Rent Reform campaign gathered with community leaders and elected allies to speak out about the urgent need for Rent Guidelines Boardreform. R3 stood on the steps of City Hall to support S741A / A6394B, a piece of legislation sponsored by Brian Kavanagh in the Assembly and Daniel Squadron in the Senate. This bill would require City Council confirmation of the Mayor’s appointees to the RGB, bringing necessary checks and balances to the system and making the appointment process more democratic. Click on the links to see reports by: New York Post, New York 1, CBS,New York Observer, andWFUV. Join the Real Rent Reform Campaign at upcoming events to call for tenant rights and protections! 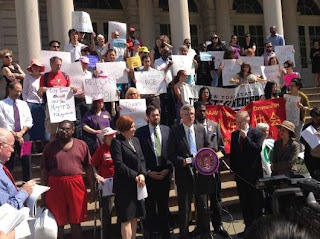 RGB Reform Rally and Press Conference Monday, April 16 City Hall 10:45 AM Join tenants, elected officials, and allies at a press conference calling for Rent Guidelines Board reform: make the RGB more accountable! Tenant Mobilization in Albany Wednesday, April 18 Meet at Tenants & Neighbors office (236 W. 27th Street) Depart 8 AM, return by early evening Join us in Albany to celebrate the passage of five bills through the Assembly Housing Committee. Rent Control Rally Friday, April 20 GoddardRiversideSeniorCenter 593 Columbus at 88th Street 11:30 AM Rally with rent control tenants and allies in support of bills A1892/S5699 to protect rent controlled tenants from unaffordable rent increases. Quoting the New York Law Journal, the Real Deal says that landlord Harmon is unlikely to get the Supreme Court to overturn rent regulation in New York.